This is where I am going to try not to sound too much like I'm sucking up, but there are some special people I need to blame (or thank) for this little venture of mine. At the top of the list is my Location Scout, Photographer, Best Friend and Wife, Brenda. Without her ability to sometimes understand my quirky sense of humour (and cut through all the filler) a lot of what you see on this website would, well, not be on a website. So big thanks to her. Here's the showing off part: Brenda works on a bunch of different projects and you can snoop at a few of them by clicking the following: Clean Air BC, Living Water Church, Similkameen News Leader. 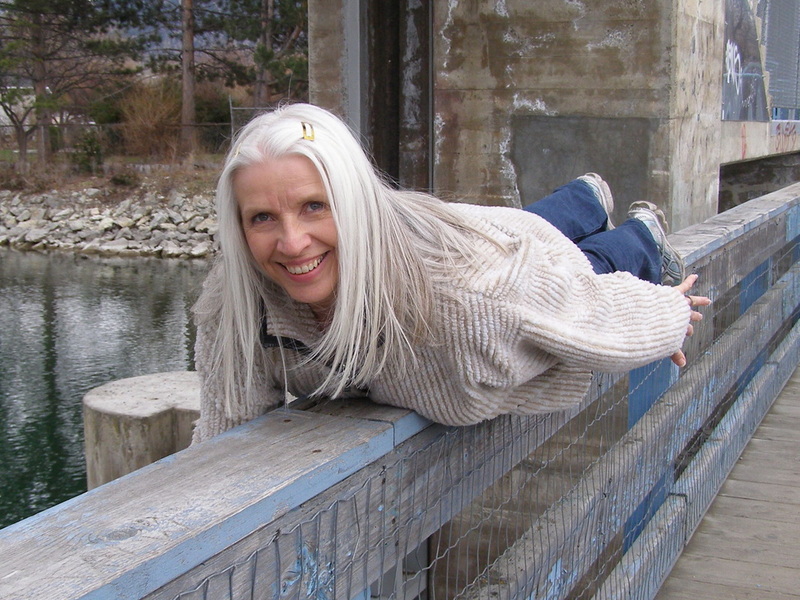 Brenda gets into planking with one of her own on the railing of the walkway along the top of Okanagan River Channel Dam in Penticton, British Columbia.